Below I share some of my favorite projects. 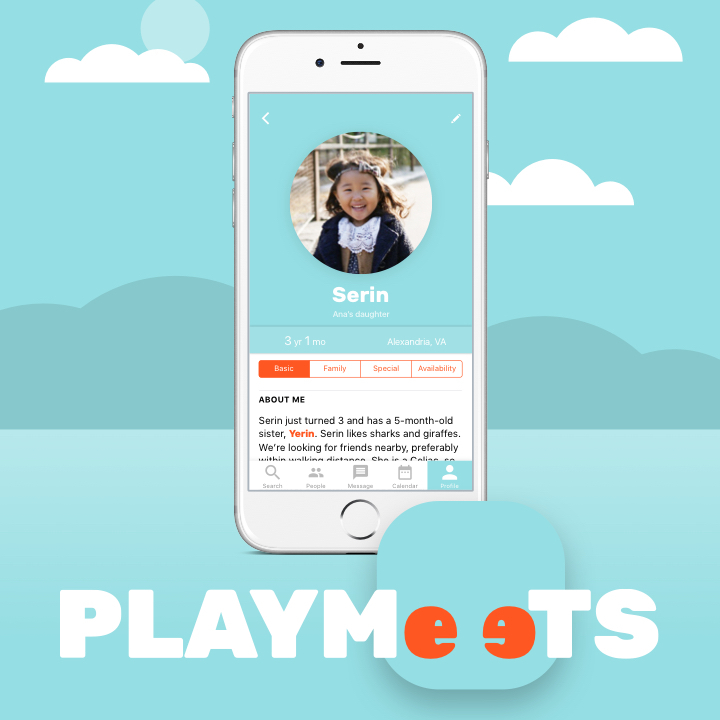 Playmeets is an app (concept) that for moms and dads to find compatible playmates nearby for their young child(ren). 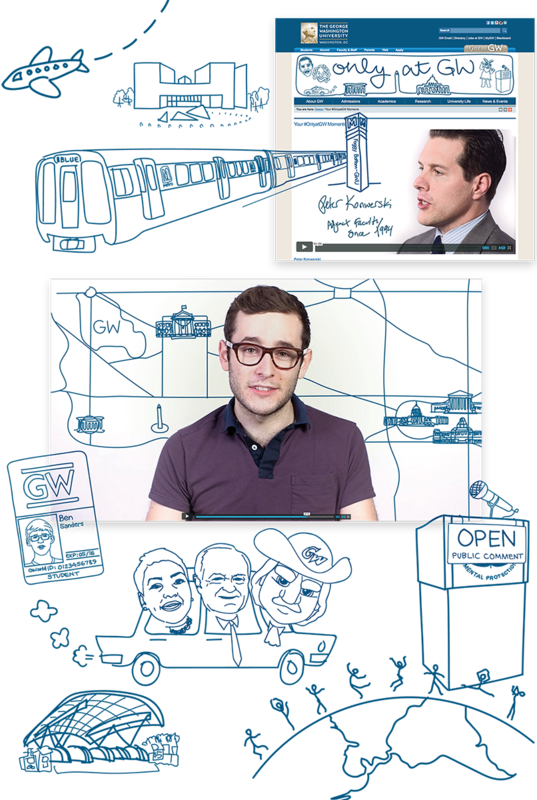 Illustrations are woven throughout the Capital Emmy Award and Gold ADDY (AAA–DC) Award-winning video campaign series of 18 video stories of unique #OnlyAtGW moments, told by students, faculty and staff of the GW community. I suggested and implemented the idea of using each featured person’s own handwriting to write out their name and title at the start, as well as ‘#OnlyAtGW’ at the end of each video to tie the series together in a way that was personal for each. 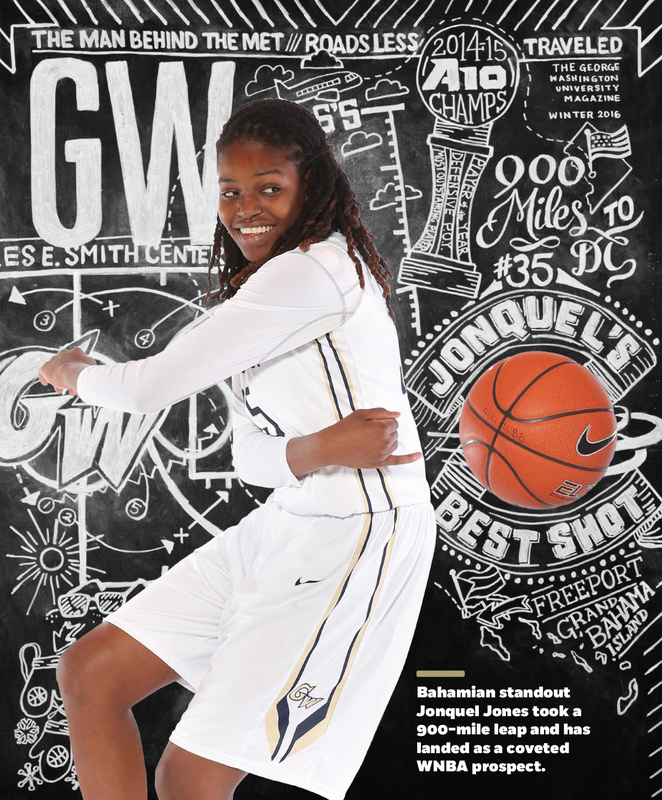 As a result of this campaign, community engagement grew, as evidenced by social media responses and student enrollment. 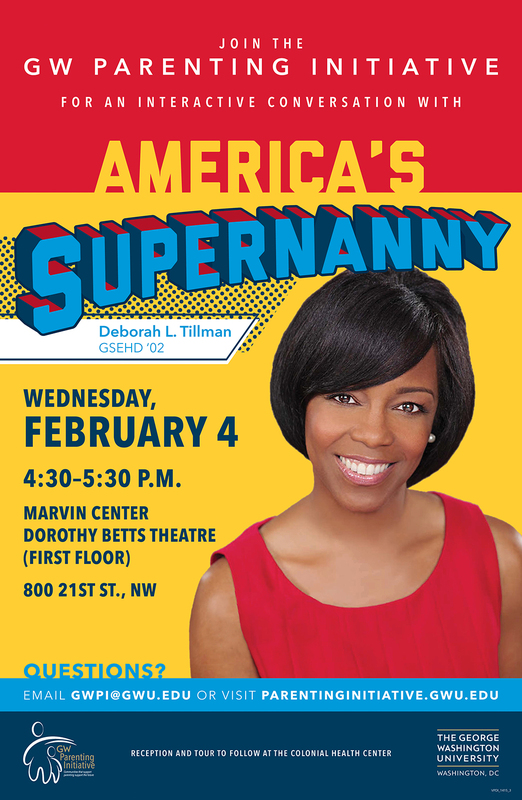 View the entire series on Facebook or Vimeo. 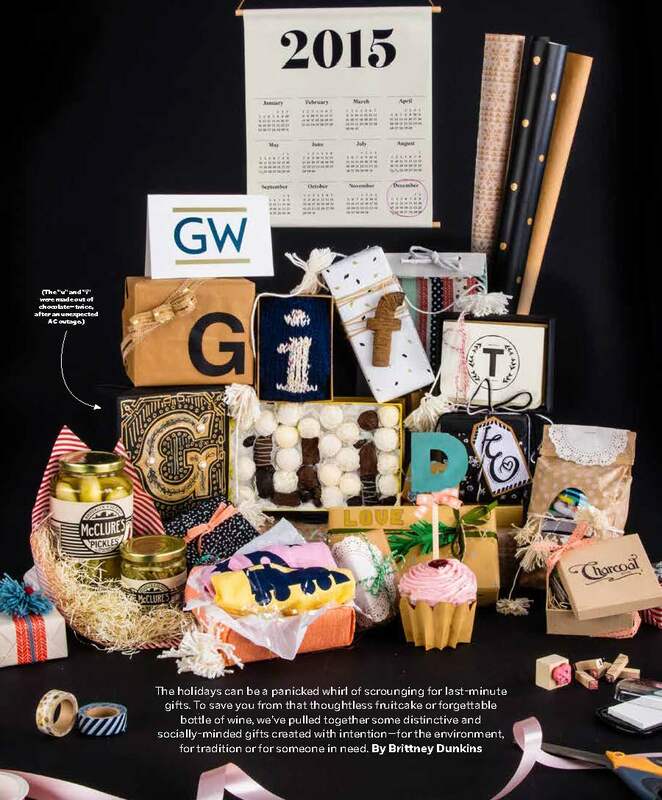 2015 GW Gift Guide assemblage: Shown in the Fall 2015 issue is a hands-on approach with a theme of gift-wrapping—in which each letter or element is hand-lettered, knitted, wrapped, glued, cut out, sculpted, scored or otherwise hand-crafted. 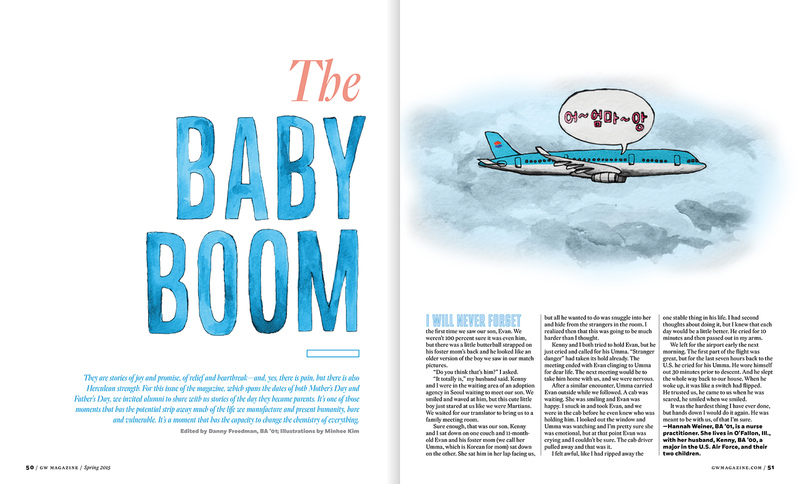 The Baby Boom illustrations: Quirky, digitally colored sumi ink illustrations serve as the artwork for a parenthood feature in the Spring 2015 issue. 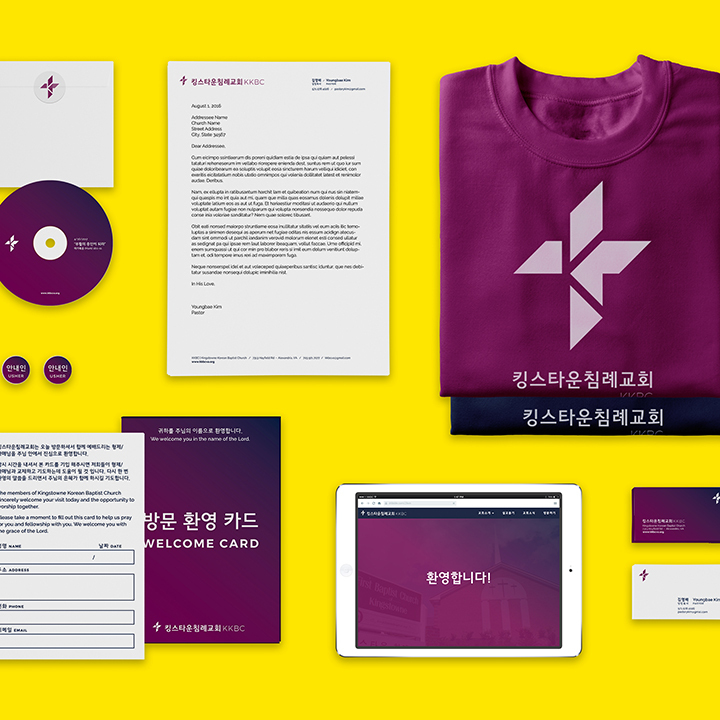 New identity for Kingstowne Korean Baptist Church (site launching soon!). Deliverables include website, t-shirts, service program, business cards, and letterhead. There was no previous logo or identity, and previous website was a makeshift Blogger site. 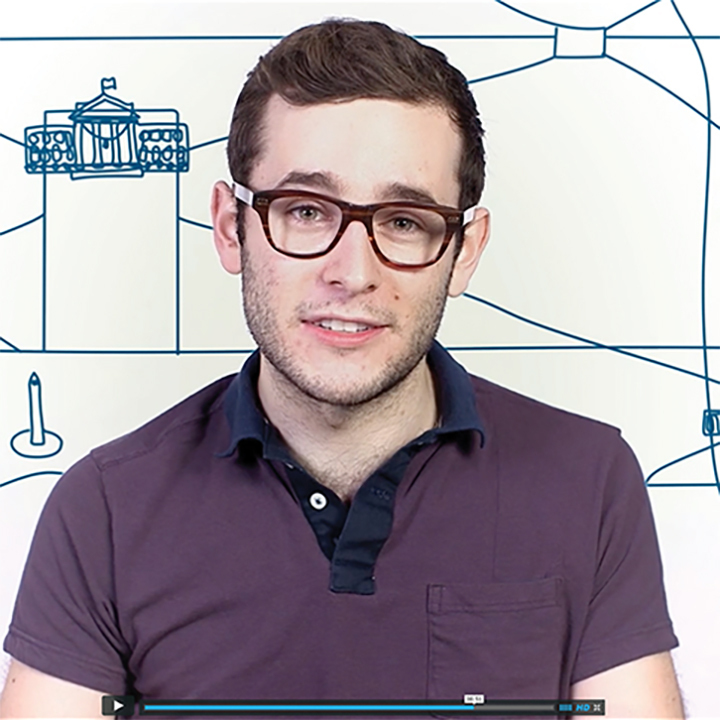 I built the website as a single page, organizing all the original content in a way that is clearer and more concise. 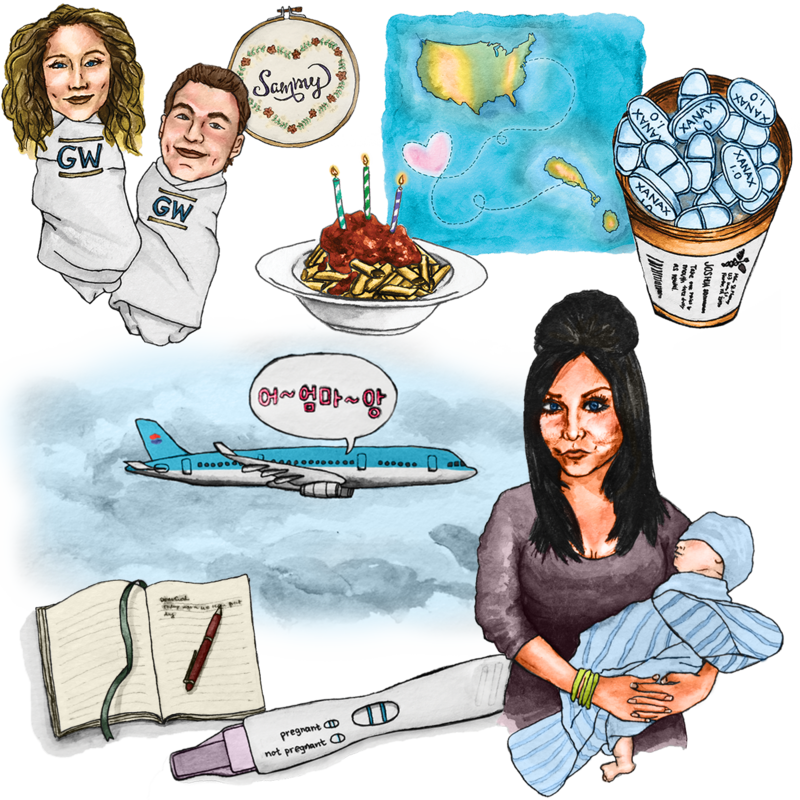 I was asked to create a brand new design, including all visual language, layout, typesetting, and illustrations, for a special issue of GWNursing for the School of Nursing’s 5th anniversary. As a final project in Lettering & Type with Bruce Willen and Nolen Strals during undergrad at MICA, I taught myself FontLab Studio and designed the lowercase letters for a typeface I called Extraclear, combining my knowledge, research on legibility, and common sense. The idea was there but it being my first foray into type design, several of the character forms were pretty wonky. Minee Sans is a revived attempt at a typeface focused on legibility. This time around, I started with a fine appreciation for refined bezier curves, used FontForge, and developed the entire character set. 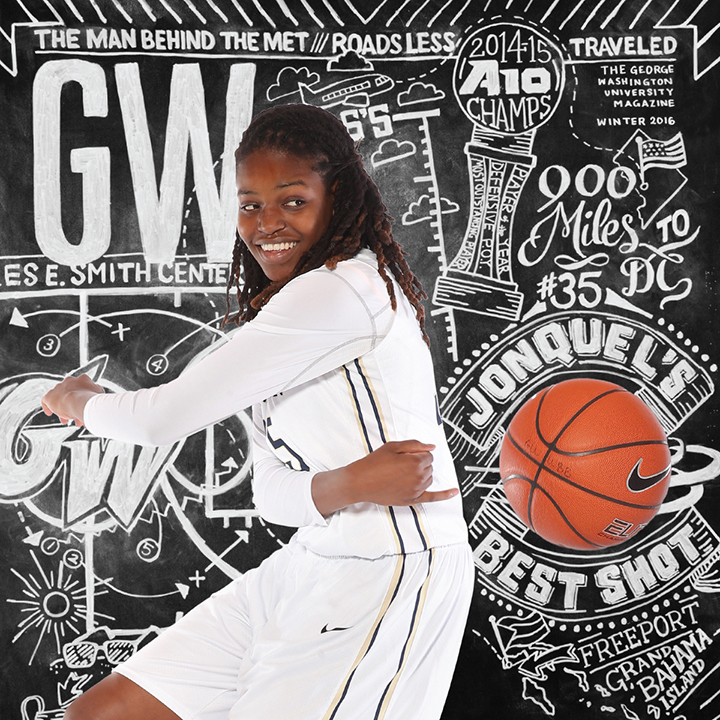 Event/initiative posters for various clients within the George Washington University were created. All were low budget, quick designs. 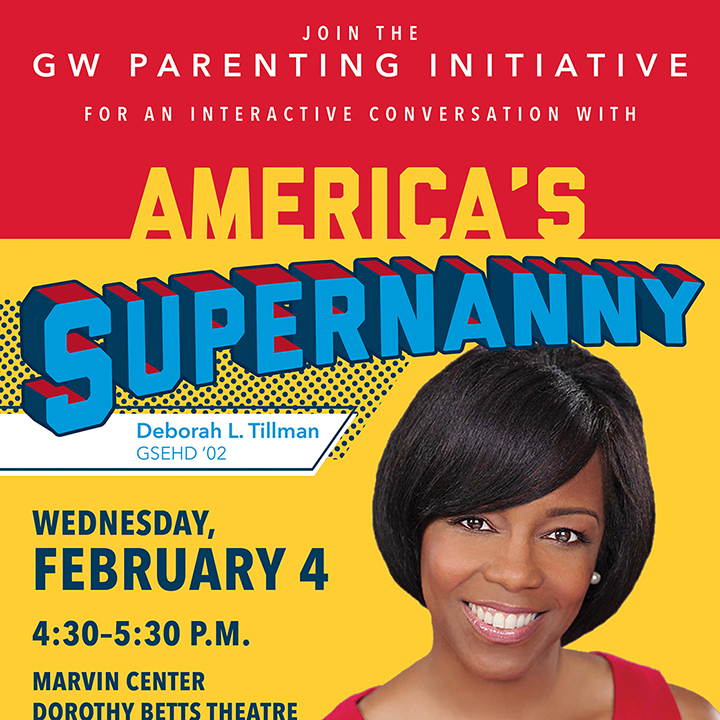 America's Supernanny: A poster and other materials were created for the conversation event with America’s Supernanny Deborah L. Tillman, GSEHD ’02. 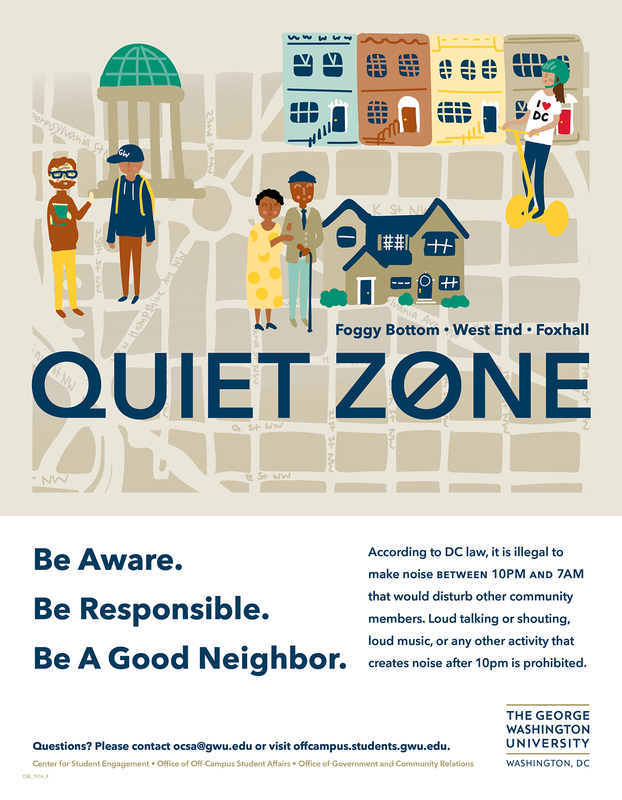 Quiet Zone: Friendly and accessible poster for Quiet Zone with hand-drawn illustrations soften the stern message. 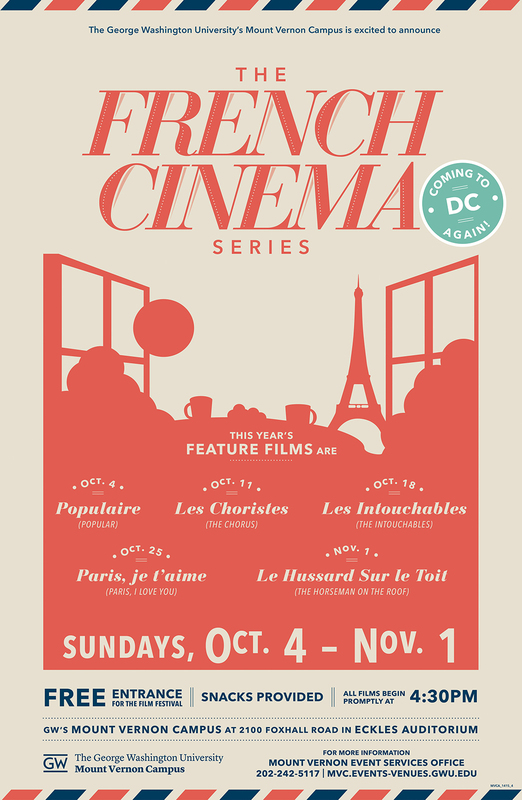 French Cinema: Ad materials were created to announce the return of the French Cinema Series to GW’s Mount Vernon Campus. 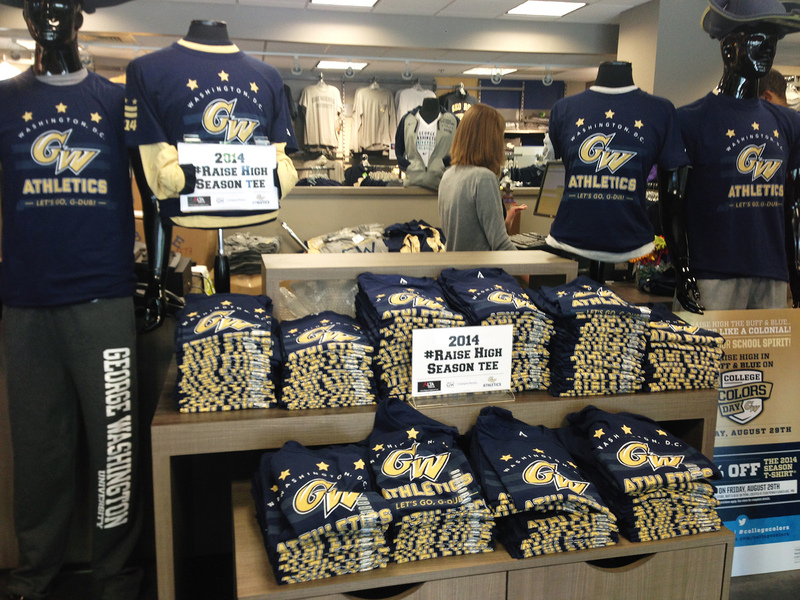 2014 GW Season Tee: A design for the first annual season t-shirt was created by each member of the GW MCS design team. 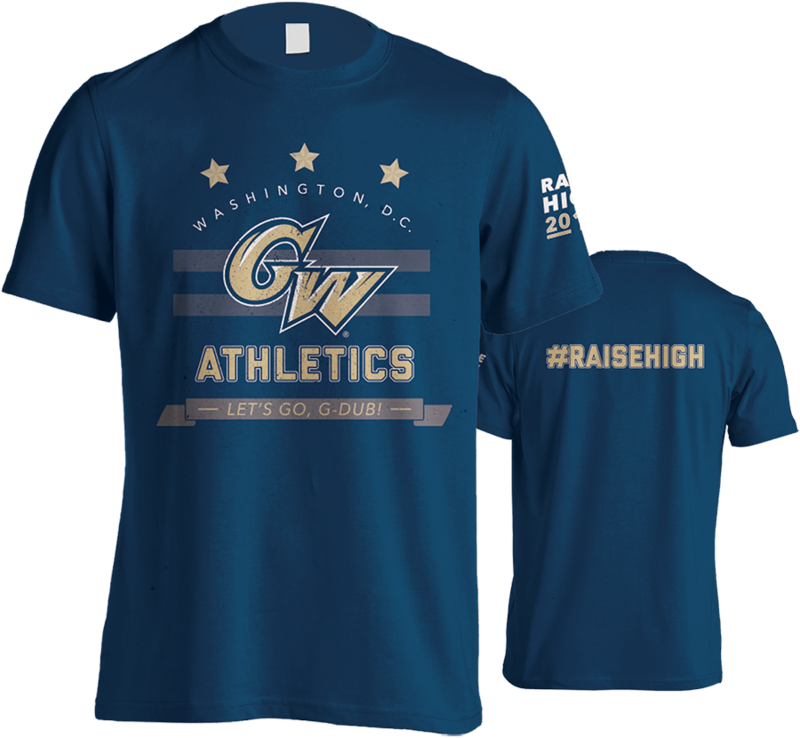 The final design was chosen by students’ vote on the GW Athletics website. 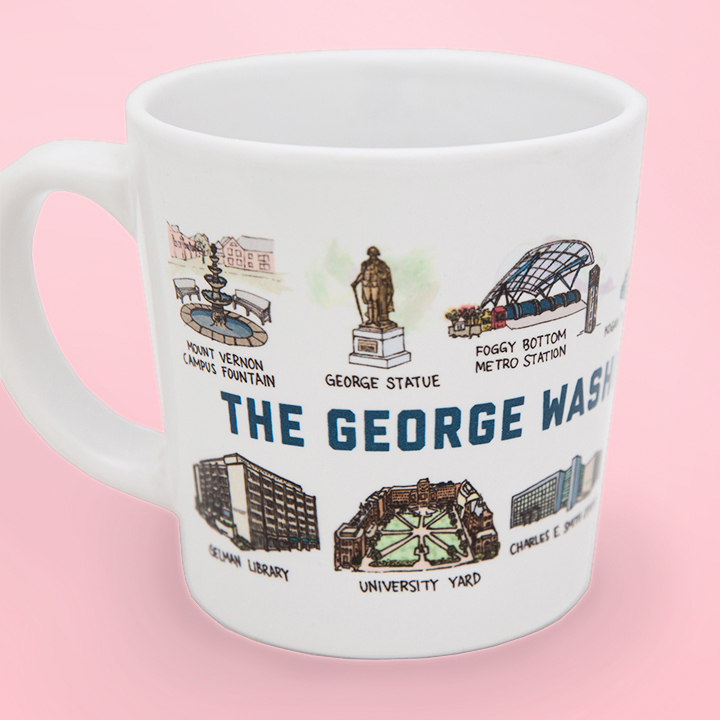 GW Campus Mug: Mug design features illustrations of major GW buildings, landmarks, and identifiers. 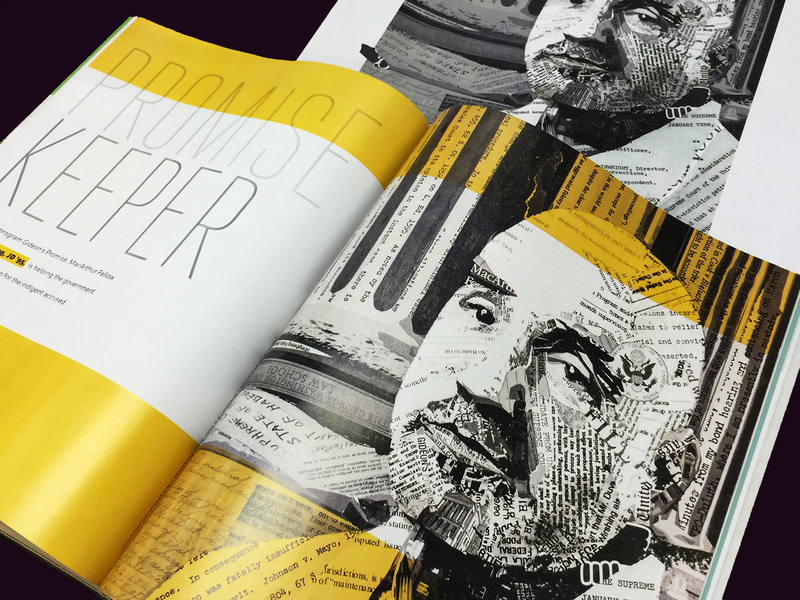 Illustrations were hand-drawn, converted to digital, and colored with vector fills. 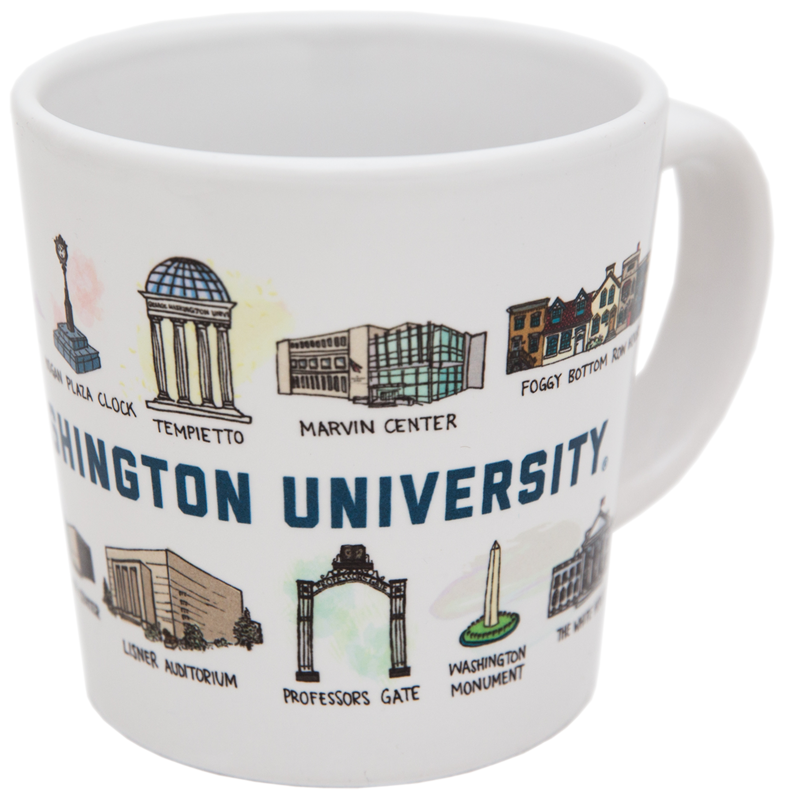 Mugs are being sold at GW Campus Store locations (as of summer 2016). 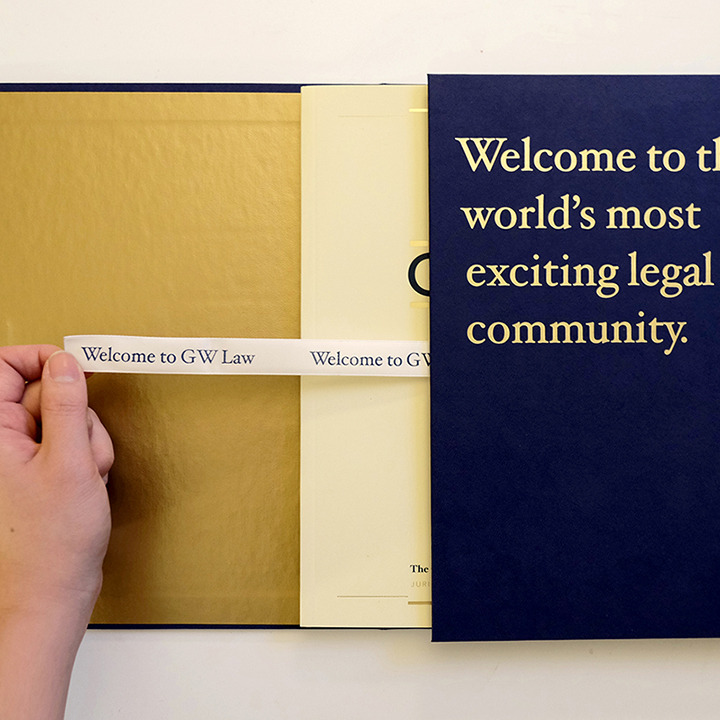 An acceptance mailer was created for students who have decided to attend the GW Law JD program. 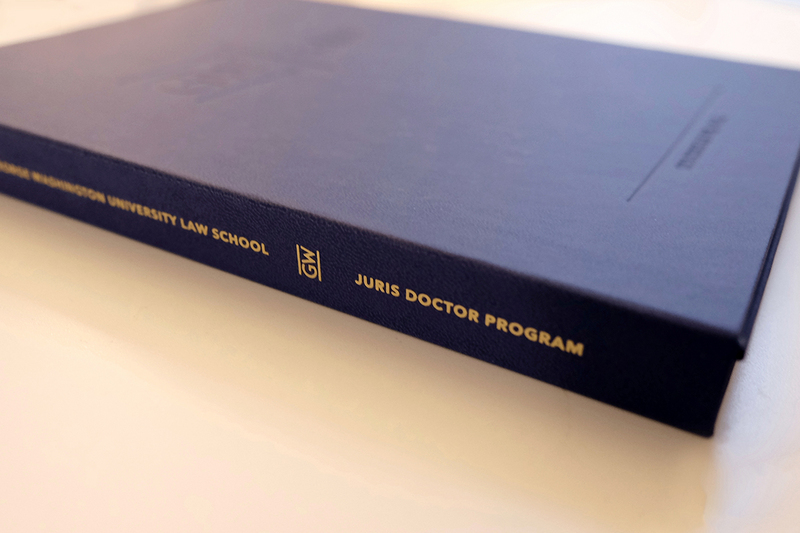 The book was updated and partially redesigned for the 2016 entering class. 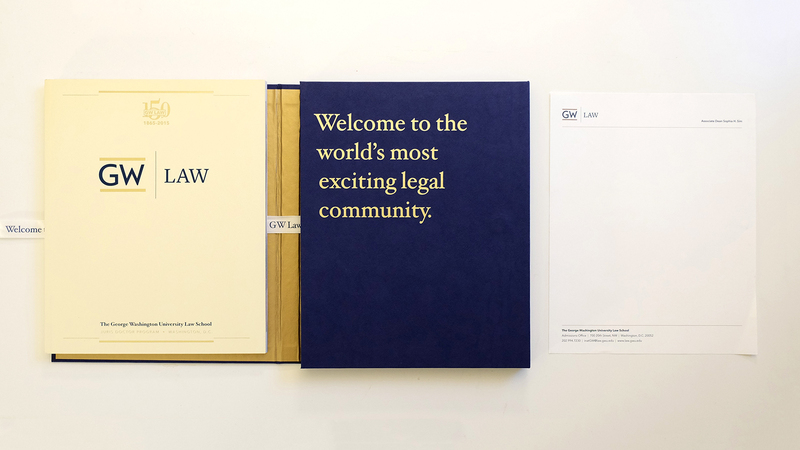 Details such as the pull-out ribbon, gold foil, letterhead, and embossed outer box were also carefully decided upon and designed. 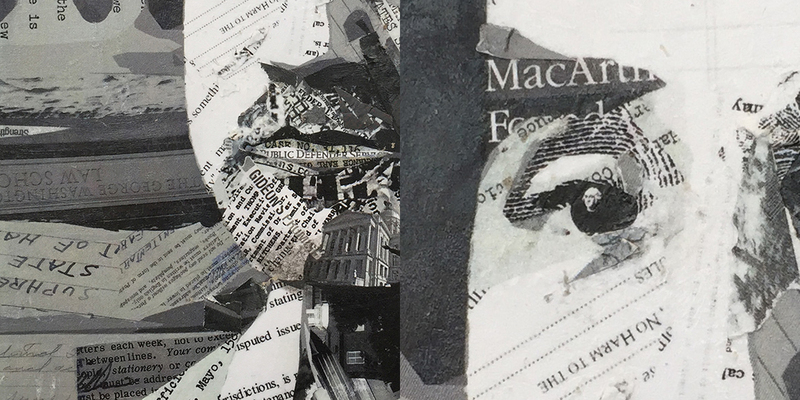 Head over to my Behance to see more (mostly older) work. Check out my Instagram to see examples of my off-hours creative thinking. Read more about me, or drop me a line.